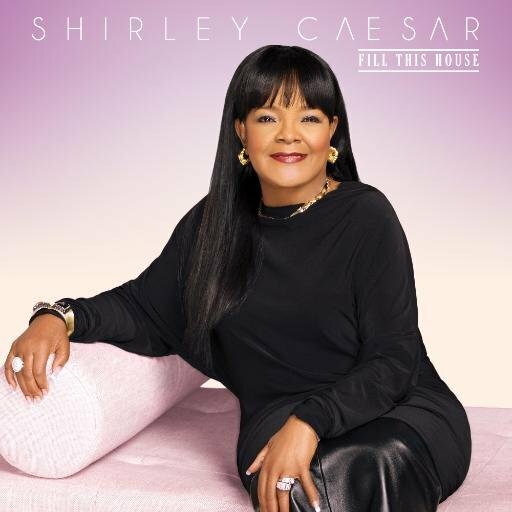 Shirley Ann Caesar-Williams, known professionally as Shirley Caesar (born October 13, 1938), is an American Gospel music singer, songwriter and recording artist whose career has spanned over six decades. A multi-award winning artist, with eleven Grammy Awards and seven Dove Awards to her credit, she is known as the “First Lady of Gospel Music”. Beginning recording at the age of 12 in 1951, Shirley Caesar has released over forty albums. She has participated in over 16 compilations and three gospel musicals, Mama I Want to Sing, Sing: Mama 2 and Born to sing: Mama 3. Caesar’s credits also include a series of commercials for MCI Communications and numerous awards for her recordings. She has won or received 11 Grammy Awards, 14 Stellar Awards, 18 Doves, 1 RIAA gold certification, an Essence Award, McDonald’s Golden Circle Lifetime Achievement Award, NAACP Lifetime Achievement Award, SESAC Lifetime Achievement Award, Rhapsody & Rhythm Award from the National Museum of African American Music, as well as induction into the Gospel Music Hall of Fame. According to Soundscan, she has sold 2.2 million albums since 1991. She has made several notable appearances, including the televised Live from Disney World Night of Joy, the Gospel According to VH1, a White House performance for George Bush, and a speech on the Evolution of Gospel Music to the US Treasury Department. Caesar graduated from Shaw University with a Bachelor of Science degree in Business Administration in 1984. She also spent time studying at the Divinity School of Duke University and has received honorary doctorates from Shaw University and Southeastern University. This entry was posted in PERSONALITY and tagged Albertina Walker (Queen of Gospel Music), Dorothy Norwood, GOSPEL, James Cleveland, pastor, Patti LaBelle, RECORDING ARTIST, SHIRLEY CAESAR, singer, SONGWRITER, The Caesar Singers, The Caravans Inez Andrews. Bookmark the permalink.